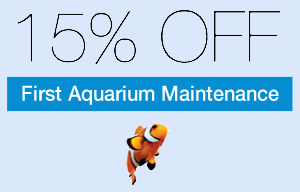 If you have any questions or concerns about your own saltwater or freshwater aquarium or about Saint Louis Aquariums available maintenance services and prices to the Saint Louis area. This link will send users to the Homepage of this site. Feel absolutely free to edit the link or link text so that it leads to any sub page or article with any link text you may prefer. Please Email Saint Louis Aquariums if you would like a link back and I will likely do so if your site is relevant and content rich.